If you’re anything like us, this election can’t be over soon enough. The endless geyser of scandals and leaks from both candidates has made it a deeply depressing couple of months, no matter what side of the political spectrum you fall on. Choosing between Donald Trump and Hillary Clinton is a no-win situation. Thankfully, a golf course in Texas has decided to help people get out some of their frustration. 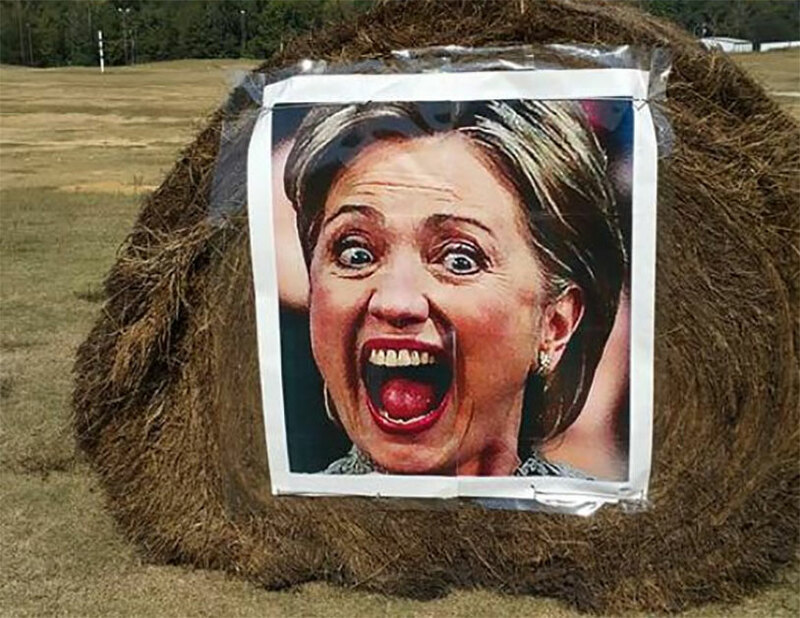 The Alpine Target Golf Center in Longview rolled out a pair of hay bales over the weekend with massive photographs of Trump and Clinton. Duffers can work on their precision and power while knocking balls into the faces of the two major candidates. It doesn’t look like they’ve put out targets for Gary Johnson, Jill Stein or Deez Nuts, but they might if you asked nicely. Course management says the Trump and Clinton targets are “an equal opportunity stress relief with no political bias implied,” and we’d have to agree with them. Sometimes you just need to blow off a little steam during a high-stress election, and doing it on the golf course is a time-tested way. If Trump loses, we wouldn’t be surprised to see him roll out Clinton targets at his own courses, assuming he owns them much longer. USA Today has more details.